The delay could stymie efforts to eradicate the disease. 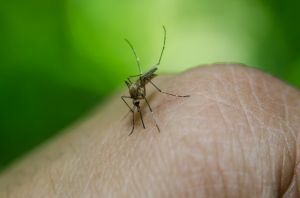 Southeast Asia is currently in the midst of a drug-resistant malaria outbreak that started in Cambodia before moving on to Thailand, Laos, and Vietnam successively. Now, a new study concludes that the strain spread for five years before clinical resistance was reported. In September 2017, Pedro Alonso, Director of the World Health Organization’s (WHO) Global Malaria Program, responded to reports of a “super malaria” outbreak in the Greater Mekong Subregion (GMS), which includes the four previously aforementioned areas, as well as China’s Yunnan Province and Guangxi Zhuang Autonomous Region. However, according to a new study published in the journal Lancet Infectious Diseases, drug-resistant malaria has been underreported in the region for years and such delays in detection could threaten eradication efforts. The first line of treatment for those suffering from malaria is typically a combination of two powerful antimalarial drugs: dihydroartemisinin and piperaquine (DHA-PPQ). The combination was first introduced in Cambodia in 2008, but by 2013, it had become obvious that some of the Plasmodium falciparum parasites responsible for the disease had developed a resistance to the drugs. For their study, researchers from the Wellcome Sanger Institute analyzed DNA sequence data from 1,500 parasites from Southeast Asia, 450 of which were retrieved from Cambodia between 2007 and 2013. They discovered that the DHA-PPQ-resistant malaria parasites were in Cambodia as early as 2008 and quickly spread to other parts of the region. According to the Wellcome Sanger Institute researchers, other drugs or combinations of drugs could still be effective for treating malaria, but right now, the situation in the GMS is “extremely fragile.” They suggest that officials take advantage of the latest technology to monitor and address the spread of drug-resistant malaria. “Our study shows that modern genomic surveillance can detect patterns of resistance much sooner than was possible in the past, providing vital information and allowing public health officials to respond as soon as possible,” said Dominic Kwiatkowski, a corresponding author on the paper, in a Wellcome Sanger Institute news release. “There is now an urgent need to provide national malaria control programs with the tools for active genomic surveillance that will help to detect new emergences of resistance as soon as they arise and thereby reduce the risk of a major global outbreak,” he added. The GMS is not the first region to deal with a treatment-resistant disease. Antibiotic-resistant superbugs are spreading across the globe, and the development of new drugs hasn’t been able to keep up with their evolution. That said, a number of potential solutions are on the horizon. The world’s first malaria vaccine underwent testing in Africa in May, and developers have built an app that helps people identify disease-carrying mosquitoes. Researchers are using AI to discover new malaria treatments, and scientists may be on the verge of reversing drug-resistance in superbugs. Malaria may seem to have the upper-hand right now, but if the above initiatives pan out, we could soon live in a world that’s free of this deadly disease.